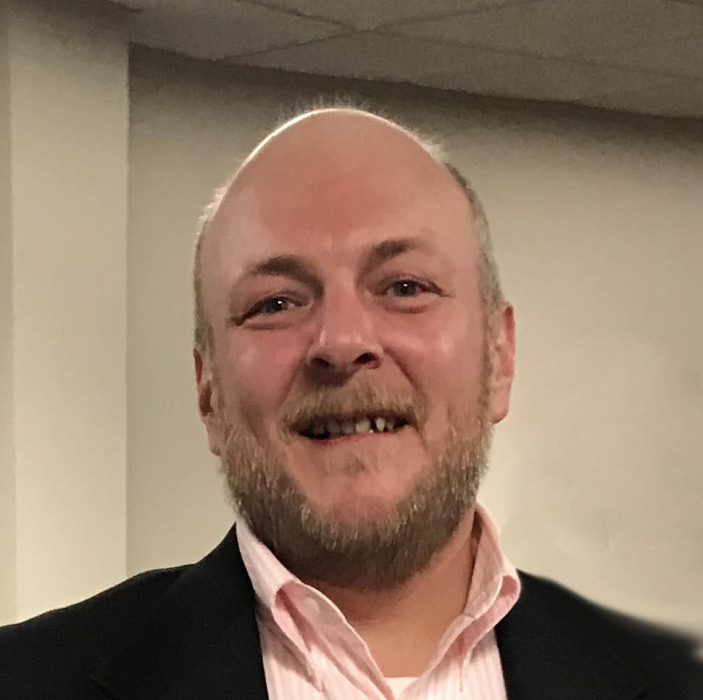 Jeffrey David Carlon, age 42 of Tower died unexpectedly Sunday, March 24, 2019. He was born July 20, 1976 in Virginia, the son of Lyle and Lila (Ulrey) Carlon graduated from Tower-Soudan and Vocational-Technical College. Jeff married Morgen McDougall on August 27, 2011 in Tower and was a lifelong Tower resident. He was employed as a welder for Lamppa Manufacturing, and a member of #teamramrod. Jeff enjoyed everything outdoors, fishing, snowmobiling, hunting and boating. He was proud of his classic 1963 Chevy (long box) pickup. Jeff is survived by his wife: Morgen; stepson: Frederick McDougall III of Soudan; father: Lyle Carlon of Ft. Pierce, FL; sister: Eliza (Matthew) Lucachick of Springville, IN; grandparents: Carolyn (Ray) Stevens of Tower; in-laws: Penelope Trenberth of Duluth and Fred (MaryAnne) McDougall of Hibbing; brothers-in-law: Frederick (Vicky) McDougall II of Taoyuan, Taiwan, Christian McDougall of Cass Lake and Noah McDougall of Minneapolis; aunts and uncles: Keith (Linda) Carlon of Buhl, Bill (Luanne) Carlon of Morristown NJ, Scott (Naomi) Carlon of Anoka, Lowell (Kathleen) Carlon of Virginia, Liz Cheriff (Brian Drake) of Minneapolis, Violet Carlon of Denver, Ruth Carlon of Germany, Beth (Robin) Krom of Lanesboro MN, Joe (Mary) Ulrey of Naples FL, Bill Trenberth of Babbitt, Vivian Werman of Hibbing, Edith Tawyea of Hibbing, and Dale Werman of Minneapolis; niece and nephew: Gabe and Carolyn; extended family and friends, and his canine companion, Jetta. He was preceded in death by his mom: Lila; grandparents: Joe and Carol Ulrey and William Carlon; and special friend: Brandon Dougherty. The Memorial Service will be held at 2:00 p.m. on Saturday, April 6, 2019 in Bauman’s Vermilion Funeral Home. Family services provided by Bauman’s Vermilion Funeral Home in Tower. To share condolences online, please see: www.baumanfuneralhome.com .